A psychogenic illness is one that originates in the mind or in a mental condition. Psychosomatic disorders and mental illness that is not caused by an underlying physical condition are examples of psychogenic illnesses. There is a considerable amount of scientific evidence that suggests that theism is more conducive to mental and physical health than atheism (See:Atheism and health). 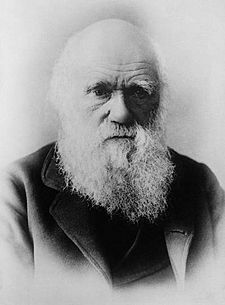 The medical literature and historical evidence suggests that the evolutionist and agnostic/atheist Charles Darwin suffered from psychogenic illness related to the controversies that surrounded his evolutionary ideas (see: Charles Darwin's illness). In addition, the historical evidence indicates that Darwin had both agnostic and atheistic sentiments (See also: Religious views of Charles Darwin). According to the evolutionist, new atheist and agnostic Richard Dawkins: Dawkins' doctors advised him to avoid controversy; he suffers from chronic high blood pressure; Dawkins believes his recent stroke may have been stress related and may have been caused by a controversy with his fellow skeptics which caused him to be temporarily disinvited to a skeptics conference; and Dawkins' says he is not very good at avoiding controversies (see: Richard Dawkins' health). Furthermore, Richard Dawkins has a reputation for being an angry and aggressive man (see: Richard Dawkins and anger and Abrasiveness of Richard Dawkins). Even Dawkins admitted, "Well, perhaps I'm angry." His demeanor cost him large reduction in his amount of public influence (See: Richard Dawkins' loss of influence). According to Glenn Gandelman, MD, "A recent study indicates that angry men have higher blood pressure and increased risk of heart disease. For most of his adult life Charles Darwin suffered from very poor health. The 1992 New Encyclopedia Britannica stated that Darwin's illness was psychogenic in origin. A 1997 article in the Journal of the American Medical Association declared concerning Darwin's illness that the "variable intensity of symptoms and chronic, prolonged course without physical deterioration also indicate that his illness was psychiatric." In addition, a journal article in the American Journal of Medicine states that Darwin suffered from "psychoneurosis provoked and exaggerated by his evolutionary ideas". The American Journal of Medicine article also stated that his Darwin's wife, Emma, greatly disapproved of his evolutionist ideas and "This, facsimile of public reaction, must have kept lively his anxiety and torment". Late in Charles Darwin's life, Darwin told the Duke of Argyll that he frequently had overwhelming thoughts that the natural world was the result of design. In a letter to Asa Gray, Darwin confided: "...I am quite conscious that my speculations run quite beyond the bounds of true science." Richard Dawkins' public persona flip-flops between agnosticism and atheism (see: Richard Dawkins and agnosticism). There is a cult of personality and type of religiosity currently surrounding Charles Darwin. Stephen Jay Gould wrote the following in 1978: ""... all theories [of natural selection] cite God in their support, and ... Darwin comes close to this status among evolutionary biologists ...". In 2002, Michael White similarly wrote: "Of course today, for biologists, Darwin is second only to God, and for many he may rank still higher." Despite recently having a large loss of public influence (see: Richard Dawkins' loss of influence), Richard Dawkins also has a cult of personality which follows him (see: Richard Dawkins' cult of personality). Richard Dawkins speaking in Reykjavik, Iceland. Dawkins is an extremely avid admirer of Charles Darwin and believes that Darwin was a genius who "had a big idea, arguably the most powerful idea ever." As noted above, Richard Dawkins has a reputation for being an angry and aggressive man (see: Richard Dawkins and anger and Abrasiveness of Richard Dawkins). Additionally, as mentioned above, according to Glenn Gandelman, MD, "A recent study indicates that angry men have higher blood pressure and increased risk of heart disease. PubMed has numerous studies relating to anger and high blood pressure. As indicated previously, according to Richard Dawkins: Dawkins' doctors advised him to avoid controversy; he suffers from chronic high blood pressure; Dawkins believes his recent stroke may have been stress related and may have been caused by a controversy with his fellow skeptics which caused him to be temporarily disinvited to a skeptics conference; and Dawkins' says he is not very good at avoiding controversies (see: Richard Dawkins' health). The Religion New Service reported about Dawkins: "He said doctors 'keep advising me not to get involved in controversies and I am afraid I had to tell them that controversy — that not getting into controversies — is one of the things I am not particularly talented at.'" Despite the medical advice of his doctors, Dawkins had a very active Twitter presence before his minor stroke (with a number of Twitter controversies) and numerous public controversies. Dawkins has accumulated over 30,000 Twitter tweets. The Independent reported, "Dawkins also admitted he wasn't very good at managing Twitter and the strong reactions his posts tend to provoke. 'Twitter is very difficult medium to handle,' he said. 'I’m not much of a diplomat.'" However, after his stroke, in May 2016, Dawkins gave up posting on Twitter for awhile and the tweets that appeared in his name were done by his staff. In December of 2016, Dawkins appears to have started to Tweet again despite his doctors warnings to avoid controversy (For example, he tweeted that Britain had become a "nasty little backwater" after the Brexit vote and his Tweet drew fierce criticism). In 2013, Martin Robbins wrote in the New Statesman concerning the public persona of Dawkins: "Increasingly though, his public output resembles that of a man desperately grasping for attention and relevance..."
Richard Dawkins at the University of Texas at Austin. More recently, he has shifted his attention to religion and has become known as one of its fiercest opponents. His insistence on allowing for none of the shade and subtlety that characterise the works of scholars such as Karen Armstrong, author of acclaimed books on Islam and the history of the monotheistic religions, have offended and infuriated millions. But they also have thrilled his followers who wish all discussion of faith to be banished to the fringes of the public square. But now, Mr Dawkins’s unwillingness to treat anyone who disagrees with him as though they had even half a functioning brain cell is putting off even his own supporters. “Richard Dawkins, whatever happened to you?” read a recent headline in The Guardian, the British newspaper whose readers and staff are generally among the most sympathetic to him. What does it say when a home to some of the most ardent atheists wants Richard Dawkins, frankly, to put a sock in it? “ Some atheists have sought to distance themselves from Dawkins because they feel the combative way in which he argues against faith is doing more harm than good for the atheist cause. Dawkins appears to care little about what others think about his approach, atheist or otherwise, as after all these years he's still gunning for the religious. In his own eyes at least, "aggressive" would be too strong a term for his stinging attacks on faith. "I'm not aggressive!" Dawkins exclaimed in last week's appearance at the College of Liberal Arts and Sciences (University of Connecticut), when Dean Jeremy Teitelbaum asked him why he had come to take "quite an aggressive stand against God and promote atheism". On second thoughts, "Well, perhaps I'm angry," he admitted, before dropping the pretences altogether and making clear what he thinks about anyone who teaches children anything other than his beliefs on evolution. Dawkins' website published an article against faith healing on his website written by the atheist Jerry Coyne. Gary Habermas has also discussed documentations of miracle claims and referred to thousands of cases around the world of documented miracles, including those where medical doctors witness prayer healing people with severe physical disabilities. ↑ Dawkins: I’ve Given Up Twitter. This page was last modified on 15 June 2017, at 11:14.